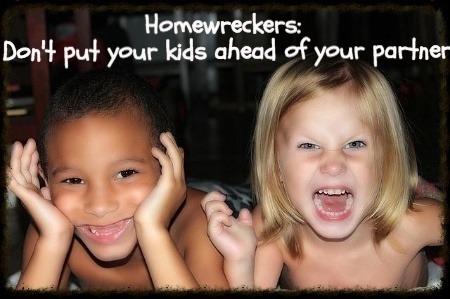 Home › Parenting, Partners, Relationships › Could Your Parenting Style Ruin Your Marriage? My husband and I have always been a little “off” when it comes to how we raise our son. When we lived in Utah, we were seen as unusual because we only have one child — and make no bones about the fact that it is our choice to stop there. We were further pegged as strange because, even though our son is involved in activities, he is not the center of our world. Instead of making our son’s interests and priorities the main event in our family, they are secondary to our marriage and our own priorities. If there is a choice between what my husband needs and what my son needs, my husband comes first. And my husband always puts me ahead of our son. This is a departure from the generally accepted belief that all the focus should be on the kids. While my husband and I are in the minority, it appears that we aren’t totally off base. I recently read an article on Quartz about how the American obsession with our children can be unhealthy for our marriages. The way you parent, if you are obsessed with your kids, could actually ruin your marriage. One of the most interesting aspects of the article, which takes a look at how we’ve elevated parenting to something of a religion in our society, is a look at data that indicates that divorce is on the rise in couples over the age of 50. Among the reasons? Too much focus on the children means that the marriage is neglected. After the kids leave, the parents are left bereft, starting at each other and trying to figure out what to do with each other. Nothing can ruin your marriage faster than realizing that your partner is now a stranger to you, and you don’t have anything to do together. While you obviously want to do the best you can for your children, and it’s important to care for them and to teach them to be contributing members of society, it’s also important to remember that you might have other priorities as well. Your life partner should probably take precedence, if you don’t want your marriage to fall apart once the kids leave. And, while you might take pleasure in your kids’ achievements, it also makes sense to pay attention to your partner, and encourage him or her. My husband and I support each other in our careers, and make it a point to encourage each other. We find that by focusing on each other first, and building our own relationship, we are better able to interact with our son as well. On top of that, our son knows that we are united and stable. He doesn’t have to worry (I don’t think) that we might divorce and throw his life into upheaval. My son also knows, at this age, that the world does not revolve around him. This will hopefully help him cope better with disappointment and the realities of life as an adult later on. We seem to have lost sight of the fact that we commit to a life partner because we want to spend the rest of our lives with that person. If you throw that over for your children, you might discover, down the road, that you have drifted too far apart. As with all things, balance is important. Make sure that you aren’t letting your child-rearing habits get in the way of your strong, healthy marriage.